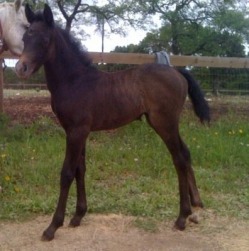 Gran Diva is a super feminite, elegant filly that will make a spectacular sporthorse! Owned by Split Mesquite Farm. Congrats to Amy Spencer on the birth of her new colt! This is the second offspring of this cross. Super uphill, great suspension! 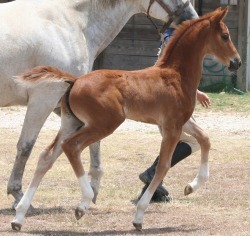 Athletic pony colt owned and bred by Laura Whitfield! Congratulations to Christine Richard on the arrival of Gran Casso's very first colt and his first foal of 2010! Wonderful shoulder angle, great saddle position and very nice hip. Looks like Gran Casso really stamps them! He looks a lot like his big sister, Jypsy Rose, both out of very different mares! **NEWS** Gran Distinction earned Silver Premium Status at his RPSI Inspection! 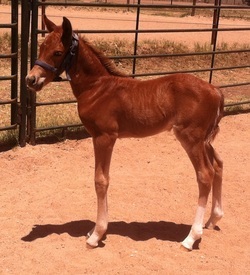 Owner, Christine Richard says "He has natural athletic ability, and the best attitude in a foal I have ever seen." Congratulations to Wendy Sieg on the arrival of Gran Casso's second foal of the year, a very handsome, leggy chestnut colt, Joey! Gambol PSH is Gran Casso's first filly of 2010. 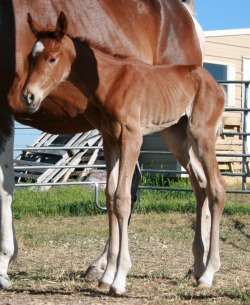 Congrats to Laura Whitfield of Poseidon Sporthorses on the arrival of this very special filly! Again Gran Casso has produced a beautiful, well put together, athletic horse! **NEWS** Gambol PSH earned Silver Premium Status with the RPSI!!! Harvey is a big moving, attractive colt. Owned by Mechelle Sieg. We are excited to announce the birth of our brand new baby girl!!! 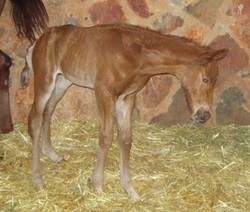 Glorianna is the first foal out of Reigner, by Rainbow. Tall, leggy and beautiful! Jypsy is the first foal of Gran Casso's and we couldn't be more pleased. She is out of a very well bred jumper mare. Jypsy is showing already that she is an athlete. She scored an impressive 83% and was named premium foal at her BWP Inspection. 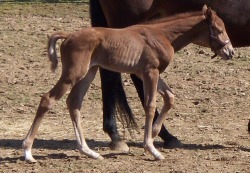 She was also the High Scoring Foal of the inspection and ranked 5th nationally. 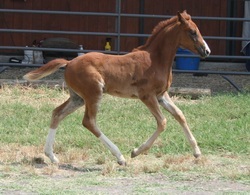 She qualified for the USDF/Cosequin Breeders Championship as a foal & placed 3rd. In 2010, Jypsy was three time reserve champion filly at all three breed shows she attended and was Region 9 Reserve Champion Filly for 2010! 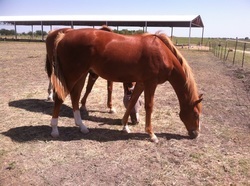 She ranked in the top 10 nationally in 2010 for Yearling Fillies.